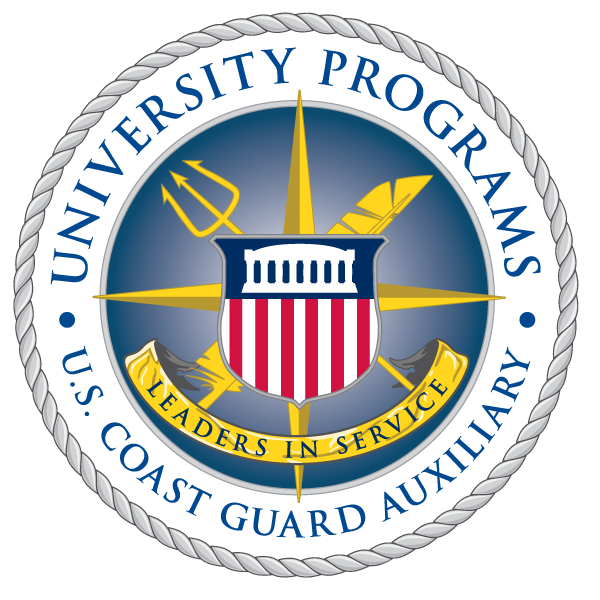 Auxiliary University Programs Unit Washington, with the sponsorship of Flotilla Northern Virginia (054-25-12), hosted an AUP Operations Weekend on June 28-30, 2013. Students and staff from AUP Unit Washington, The College of William and Mary, Auburn University, and the Remote Collaborative Unit reported to Columbia Island Marina Saturday morning for an all-hands briefing, detailing three main operations for the coming days. While Flotilla Northern Virginia manned a vessel safety check station at Columbia Island, multiple crews left the marina for underway boat operations training. A third team reported to Coast Guard Station Washington, located on nearby Joint Base Anacostia-Bolling, for a Telecommunications Operator course that extensively tests Auxiliarists’ knowledge of operating radio equipment. Pictured left: AUP students and staff work together during two boat operations on the Potomac River in Washington, D.C., June 20, 2013. U.S. Coast Guard photo. Following Saturday’s operations, AUP students and staff reconvened at Columbia Island for an all-hands meeting lead by AUP Division Chief Andrew Welch. With members of four units in attendance, the meeting presented a unique opportunity to discuss models of daily operation, educational benchmarks, and collaborate on long-term goals. Dinner out in Washington, D.C. concluded the day’s events. On Sunday, vessel examiners continued working at the marina while crews once again conducted safety patrols and engaged in training operations along the Potomac River. Despite downpours of rain, crews manned by AUP members completed towing operations and remained ready to assist the public. At Station Washington, all members completed the Telecommunications qualification successfully. To complete the sign-offs, Telecommunications students demonstrated proficiency in the operation of marine radios, marine radio nets, and responding to various distress and non-distress situations. Pictured right: A VSC decal awarded to a vessel informs the operator and other agencies that the vessel was in compliance of federal and state boating laws and safety regulations at the time of issue. U.S. Coast Guard photo. This summertime AUP Operations Weekend came to a successful close as AUP students and staff returned home late Sunday afternoon with two full days of operations, nearly 300 mission hours, several newly qualified students, and the most made of new connections and ideas in the books.